This Monday, November 14 from 5:30pm to 9:00pm, make plans to attend Rococo’s Charity Give Back Night at 2824 North Pennsylvania Avenue. Bruce Rinehart, owner of Rococo, and his staff will be collecting holiday stockings, personal hygiene items, and goodies for the Mental Health Association of Central Oklahoma’s 59th annual Operation Reindeer Project. Through Operation Reindeer, The Mental Health Association of Central Oklahoma provides Holiday stockings filled with small gifts for chronically mentally ill persons in Central Oklahoma. Many of these people have little contact with family and look forward to these small luxuries each year. Stockings are provided to local community mental health centers where they are distributed at Holiday parties as well as to patients of Griffin Memorial Hospital and the Oklahoma County Crisis Intervention Center. Bruce Rinehart continues to consistently demonstrate what it really means for a local business to give back to the community. Each week a portion of proceeds collected during various events are donated to local not-for-profit organizations. 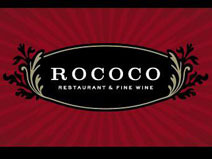 Ladies night at Rococo-Penn are not only a wonderful opportunity for locals to unwind mid-week, but a portion of the proceeds are donated to the YWCA. Over the summer, Rococo, with the support of KFOR and Lamar Advertising, collected 200 box fans and raised over $2,000 for the Salvation Army. As a result, The Salvation Army was able to provide 400 fans to Oklahomans in need during the record-setting heat. On a Monday in October, Bruce donated a portion of his sales to the Regional Food Bank of Oklahoma. Rococos has also piloted “Yappy Hours” at their Northpark location in an effort to allow patrons to enjoy some social time with each other as well as their favorite pooches while raising money for the Oklahoma Humane Society. Operation Reindeer at Rococo-Penn on Monday is set as the next give-back event. Anyone who brings items valued at $10 or more to Rococo’s on November 14th will receive a coupon good for a complimentary “cookies” appetizer. Helping the Mental Health Association of Oklahoma will not only be fun, it will also be delicious. For more information please visit http://www.mentalhealthok.org/or contact Rococo at their Penn location 405-528-2024.